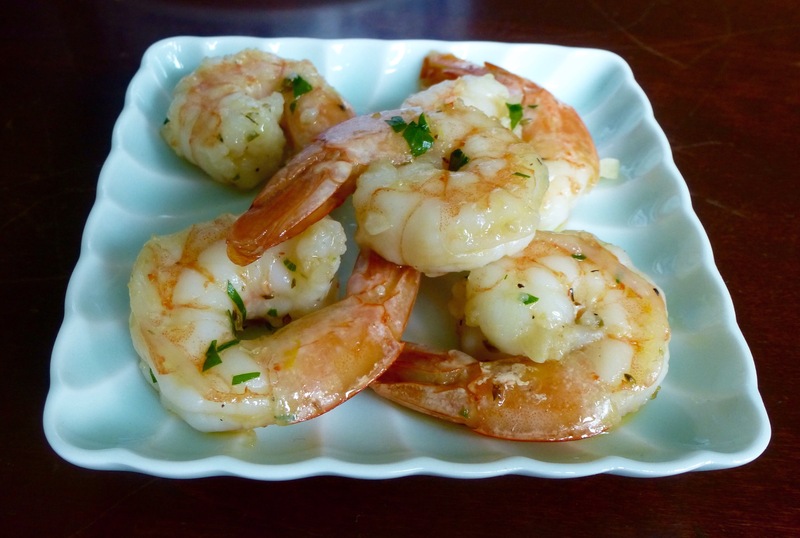 Labor Day is just around the corner and if you are having a get-together this recipe for garlic shrimp is fast and easy and good for large groups. I recently made it for a dinner party and everyone enjoyed it. It is a nice alternative to plain cooked shrimp with cocktail sauce. I plan on 5 large shrimp per person alongside other dishes. Place cooked shrimp in a large bowl. Sprinkle lemon zest over and toss. In a 1-quart saucepan combine olive oil, wine, garlic, oregano, salt, and pepper. Bring to a simmer and let cook for 5-7 minutes until garlic is soft but not brown. Stir occasionally. Remove from heat and let sit 5-10 minutes to cool a bit. Pour oil mixture over shrimp and toss. Garnish with parsley. Chill for an hour or two. Toss before serving. Serves 25. This entry was posted in Appetizers, Christmas, Fish and Seafood, Sauces. Bookmark the permalink.